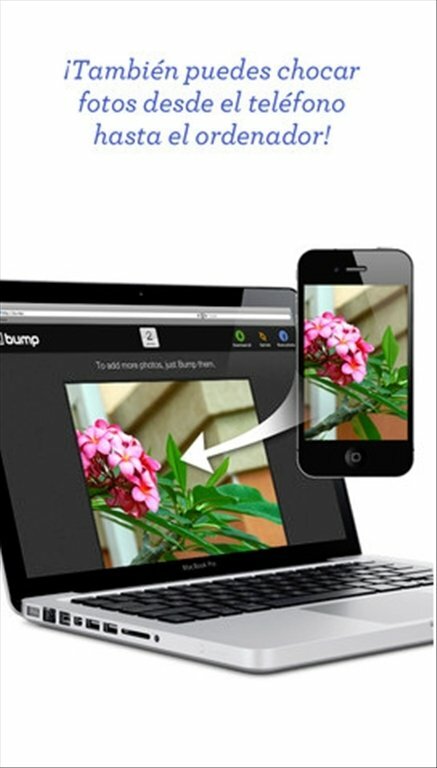 Bump implements a clever method to share photos and other files between your iPhone and the PC, or between two smartphones. 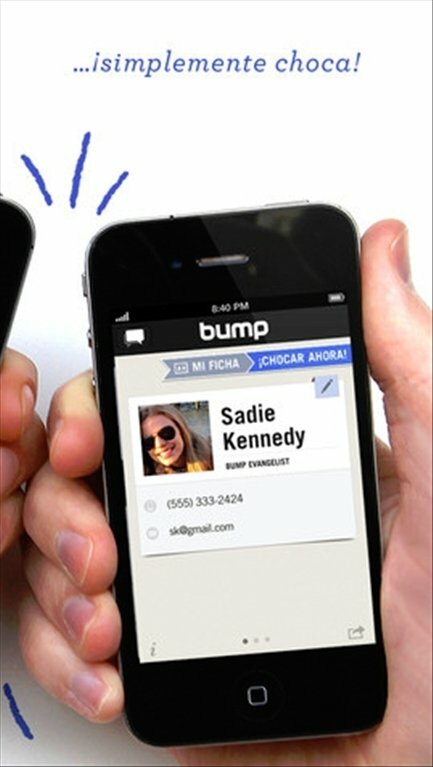 Download Bump free for iPhone and discover this great tool. Bump your devices to share. 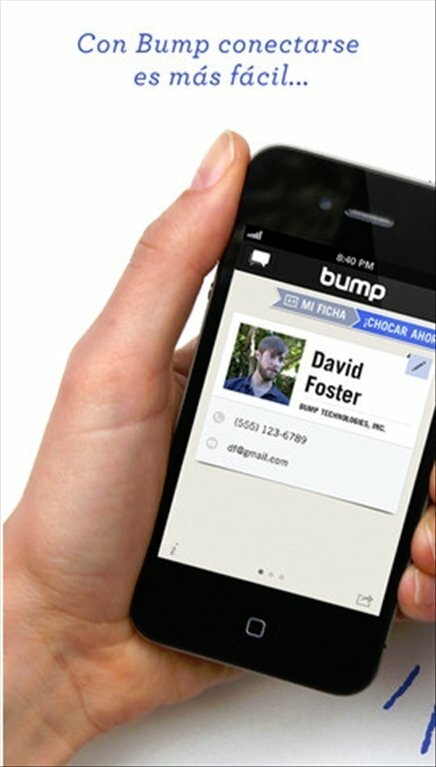 The Bump service activates on your iPhone when it detects a light shaking. It then sends your location and that of the receiving device, and enables the exchange of information between the two. It's important to have the GPS services on your smartphone and location sharing enabled on your PC to make this possible. 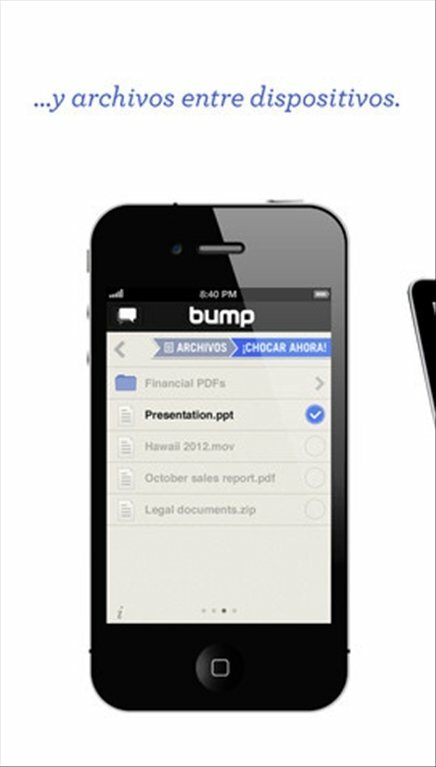 Share photos, videos and documents with other mobile devices. Sync folders with your PC. 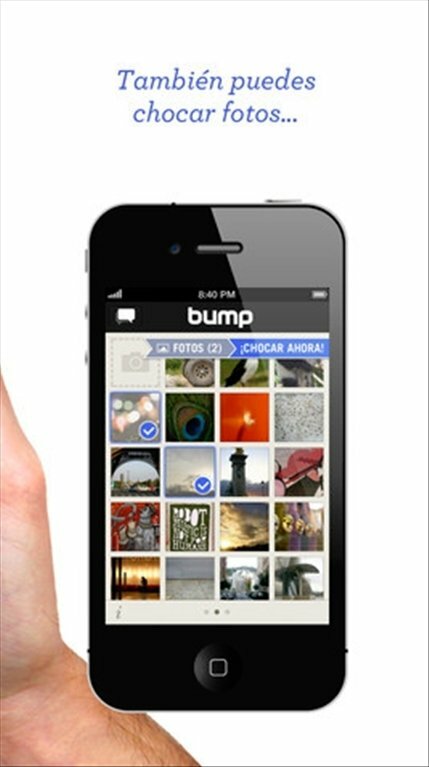 Download Bump free for iPhone and discover how easy it is to share photos, applications and contacts.